(Natural News) Did you know that eating certain foods can speed up your body’s aging process? These unhealthy food items are often loaded with bad fats, sugars, artificial sweeteners, preservatives, and other toxic ingredients. The consumption of these unhealthy junk foods can even lead to inflammation and cell damage, leaving you with dull, dry, or wrinkled skin. You can maintain a healthy and youthful-looking body by avoiding these harmful and inflammatory food items. You’ll find plenty of preservatives, unhealthy fats, artificial flavors, food dyes, and sweeteners in most processed foods. Some examples of processed food items include potato chips, hot dogs, cookies, burgers, fries, and other fast foods. They might taste good, but that’s because of all the extra salt, sugar, and flavoring additives they have. These food items are devoid of any beneficial vitamins, minerals, fibers, or antioxidants that your body needs to function properly. The high content of salt and bad fats also promote aging. Whatever energy you might get from drinking these beverages normally comes from their high sugar and caffeine content, both of which can accelerate your body’s aging process. They might also have considerable levels of sodium that can ironically lead to dehydration. This will only make you even thirstier, prompting you to drink even more sugary beverages. You might think that drinking fruit juices instead of soda would be the healthier option. While this can be generally true, you should still be on the lookout for levels of sugar and citric acid that can damage your teeth. Candy bars can be deceiving as their small size often tricks people into thinking that such small portion sizes wouldn’t hurt. Of course, this can easily lead to another bite, or one more quick nibble, or just one last piece. Before you know it, you’ll have gobbled a handful of sweets. Sugar damages the collagen and elastin in your body, which causes your skin to lose elasticity. It also inhibits the growth of new skin cells. Fast foods are generally high in salt. Consuming too much salt or sodium can lead to water retention and dehydration. Water retention makes your skin look swollen and tired, while dehydration damages the cells in your body. Alcohol slows down your body’s metabolism, but also accelerates your body’s aging process. It can even decrease your heart health and lead to early wrinkles on your skin. If you really must drink alcohol, try to limit your intake to one to two glasses per week. The consumption of red meat, especially in excess, can cause inflammation. As tender and juicy as red meat may seem, it certainly won’t leave your skin looking soft and tender. You can still eat meat, but choose leaner and whiter cuts, such as chicken or turkey breast. Starchy food items, such as most types of pasta, tend to be rich in refined carbohydrates and sugars that can trigger inflammation. If you still want to eat pasta, choose whole grain or whole wheat pastas instead. Canned soups should be reserved for emergency purposes, such as when you have nothing else to eat. Otherwise, regularly eating canned soup can have detrimental effects on your health due to their high sodium content. 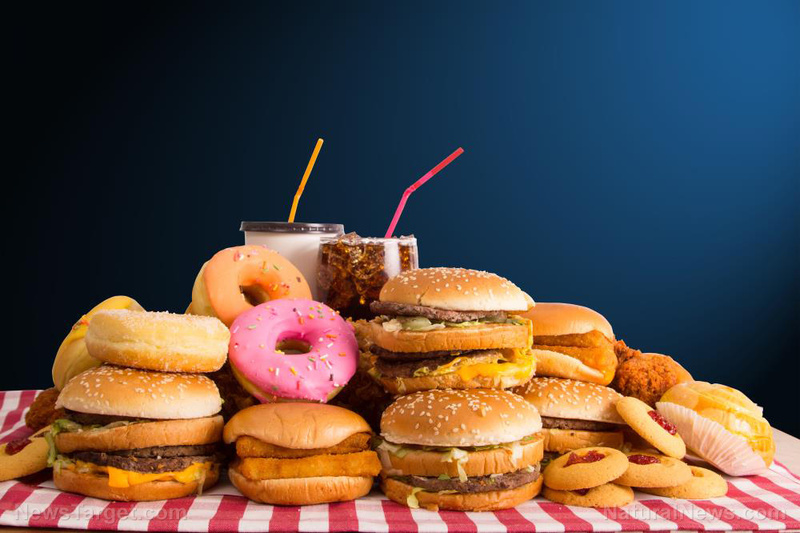 Learn what other types of food you should avoid by going to JunkFood.news.